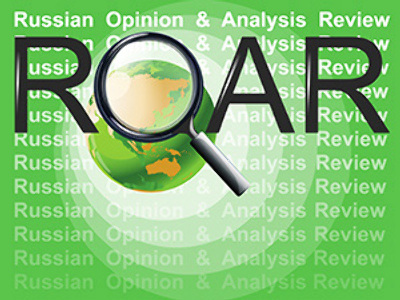 This Thursday ROAR presents an expert’s view of Russia-U.S. relations, a column on life and international politics after the crisis and a vision of China’s post-crisis role in the world. Of the U.S. military presence in the post-Soviet space he says that there have been so far two phases of that presence: the first phase, when most of the new-born post-Soviet nations, including those of the Central Asia and Russia were genuinely bidding welcome to the U.S. in the capacity of a participant and observer in the dialogue of all the countries in the region. Phase two began after the ‘multi-color revolutions’ performed with U.S. support, caused regime change in Ukraine and Kyrgyzstan, and the nations of the region started blocking the U.S. participation in regional affairs, because it proved destabilizing. The controversy over the Manas air force base, says Bogaturov, either means an attempt to explain to the American side that pursuing its policies in Central Asia without regard to the interests and opinions of the local governments is unacceptable, but talks and compromise are still an option, or it means that the general trend in the region is pushing the U.S. out of Central Asia. Asked about the planned London meeting of Presidents Obama and Medvedev in April, the academic says that the two leaders will not have time to negotiate anything, and that expectations of any concrete agreements to emerge from the first meeting are unfounded. He says the meaning of the first meeting is that the two Presidents look at each other and try to understand if they can agree on something in principle. For instance, he says, the leaders will certainly discuss Iran, and it is very important, to which extent Barack Obama is ready to modify the U.S. position in response to modifications in the Russian position. If, for instance, he suggests that Russia should simply join the U.S. position on the issue that would be absolutely unacceptable. 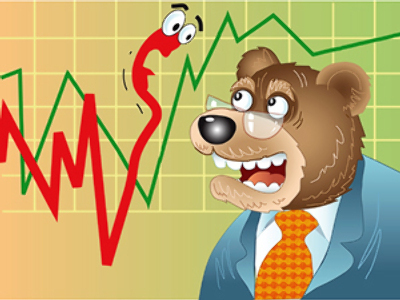 Vitaly Dymarskiy writes in his column in ROSSIYSKAYA GAZETA that in the absence of any possibility to predict the real schedule and outcome of the current global economic crisis, many leading politicians and academics launched attempts to create models of post-crisis world. One of such models, he continues, managed to unite two senior U.S. statesmen belonging to different parties and schools, two ‘monsters’ of U.S. foreign policy: Zbigniew Brzezinski and Henry Kissinger. Their idea of a post-crisis alliance of the U.S. and China, writes the columnist, is, however, no ‘Chimerica.’ He writes that the two nations practically rule the world economy of our day and their own national economies are so interrelated (China is tightly linked to the American market, and it also has accumulated a huge amount of savings in U.S. currency while America has a negative amount of savings) that a ‘G2,’ if it is created during the crisis, after it may become a unity that no other grouping in the world will be able to challenge. The columnist sees signs of such a scenario in the actions of the new U.S. administration, including the ongoing Asia visit by Secretary of State Hillary Clinton: a voyage of which Beijing is the most important destination. Of course, says Dymarskiy, at the moment the cooperation between China and the U.S. is being planned mostly in connection with the crisis. However, it may not end there. In that case, he says, the world will emerge from the crisis in a new form: not multi-polar or bi-polar, but two-headed. And all other power centers: the EU, the Islamic world, BRI (without the C for China) will become junior partners of the G2, allowed to assist with certain issues in which they still maintain some influence. For Russia, he continues, that will mean nuclear non-proliferation, Afghanistan, the Middle East and possibly energy, if oil and gas do not lose their strategic meaning. Dymarskiy writes that this option has already caused a stir in Russia: some see an ‘anti-Russian vector’ in U.S.-China cooperation, others speak of the ‘Chinese threat’ fearing a North-bound expansion (which is against all known trends in Chinese history) into the scarcely populated areas of Russia, some feel offended as a child who was not invited by other children to play in the sandbox. KOMMERSANT’s Alexander Gabunov notes that in spite of the impact it feels from the global economic crisis China shows willingness to help African nations with cheap long-term loans, generous aid packages and investments. The writer says that while Beijing is planning to help all African countries it has friendly relations with, not concentrating its efforts exclusively on the countries that have natural resources important for China; it is also evident that Chinese companies are purchasing African assets in a hurry, especially those related to energy and processing of raw materials. Gabunov says the government policy of support of Chinese companies that invest in foreign energy and raw materials industries aims, on the one hand, at preparing a strategic store of resources, and on the other hand perfecting the logistics of importing such resources as oil, natural gas and steel, all of that – to facilitate a post-crisis leap forward that would make China a genuine superpower. He says that aid to the countries with no important resources is being given to ensure the increase of China’s political influence, and that aid may bear fruit exactly when the new superpower will need it to further its economic or political national interest.